Animal Warriors of the Kingdom returns to Kickstarter on May 1, 2017! Check out the official announcement below! 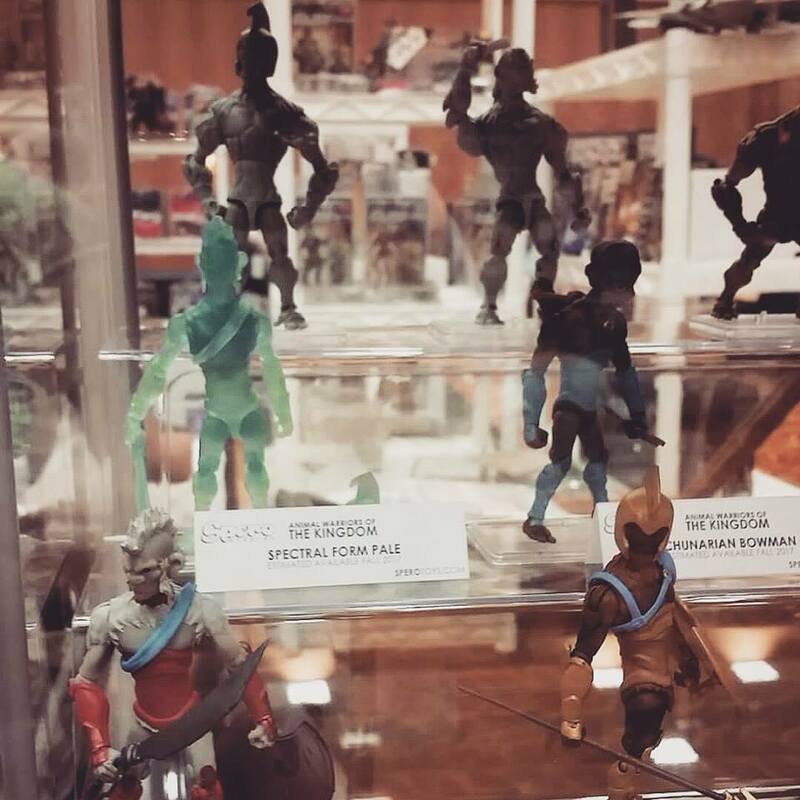 Spero Studio was founded by Jason Bienvenu and Brandon Gary, inspired by the 4 scale, toy lines of the mid 70’s, 80’s & 90’s, Spero focuses on bringing back the fun and joy from these eras with high quality products featuring modern articulation and accessories! 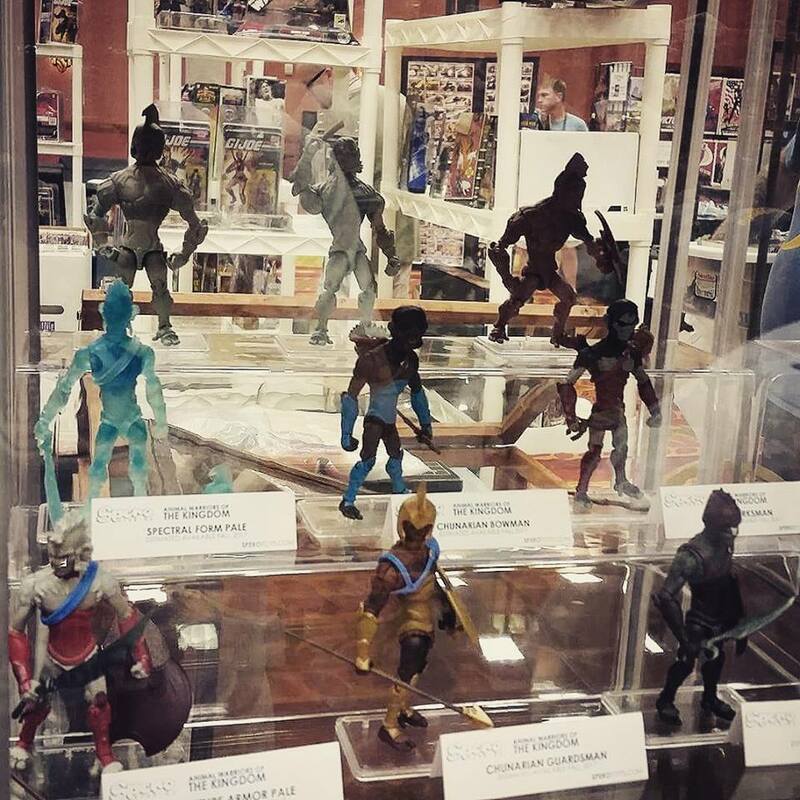 Figure design and control art by Jason Bienvenu, beautifully sculpted by Jose Fernandez and Fabiano Carlos Coelho. PALE: ADVENTURE ARMOR –The young albino ape king sports his trademark Mohawk and red armor while wielding the ability to absorb his fallen enemies powers; however this gift comes at a great cost as their ghosts become attached to him and slowly drive him mad! BARON KAH LEE – The tyrannical ruler over all of the Ape Kingdom. This devious villain rules with an Iron paw and will stop at nothing to secure his place at the thrown, including eliminating the rightful ruler, Pale the young ape king! 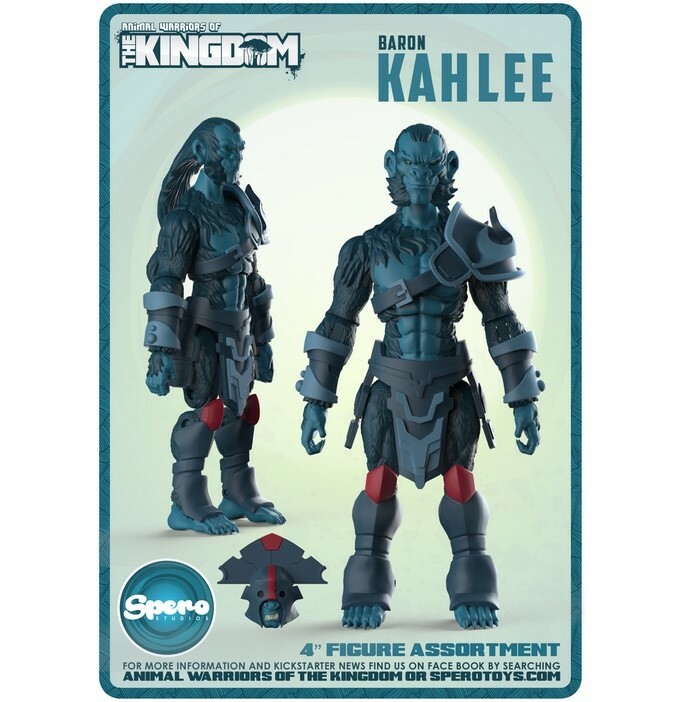 Create Kah Lee’s Elite Guard with alternate head accessory. LEON: This traveling hero roams from town to town fighting for honor and revenge. His people were among the first to be displaced and enslaved by the Baron’s reign. 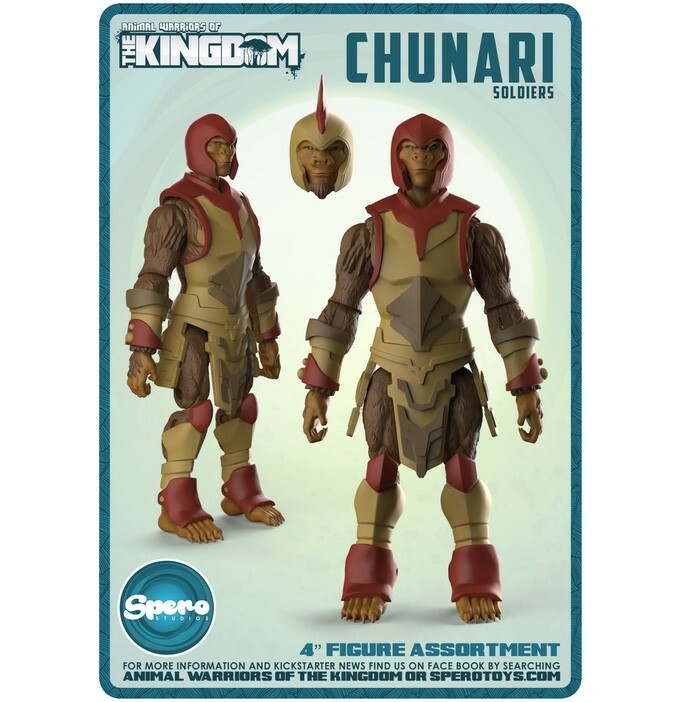 CHUNARIAN SOLDIERS -These heroic soldiers make up the backbone of the Chunarian army and guard the walls of the sanctuary jungle city of Chuh-Nar from enemies of every kind. Create the Captain of the Guard with alternate head accessory. 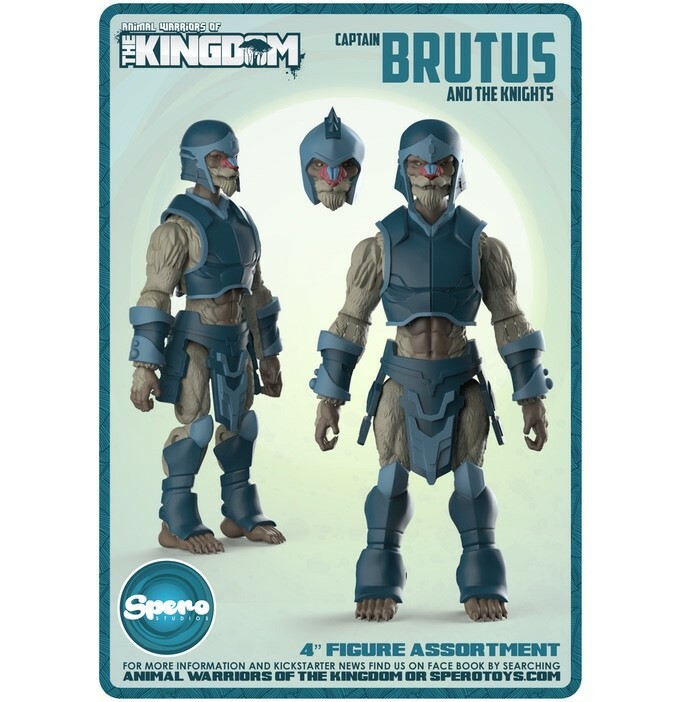 CAPTAIN BRUTUS & THE HORRID KNIGHTS – Feral Mandrill soldiers meant to overwhelm and decimate rival armies; what they lack in fighting skill they make up for with sheer numbers and unhinged savagery! Create the Horrid Knights with alternate head accessory. HORRID ASSASSINS – Only slightly less vile than the mandrills these chimps are deadly with a bow but can wield a blade when in a bind. These apes rain hate down on opposing armies as the city gates give way to the steady push of the horrid! STENCHER! This skunk is his own one animal army, his wretched stench can incapacitate almost anyone; and if his fowl odder doesn’t defeat you his formidable fighting skills will. 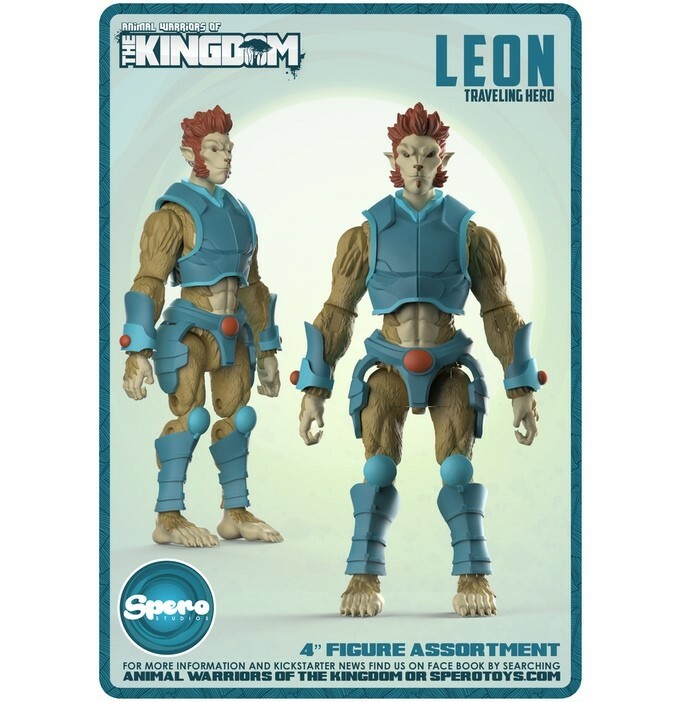 For more information, follow Animal Warriors of the Kingdom on Facebook or visit SperoToys.com! Support Animal Warriors of the Kingdom on Kickstarter! 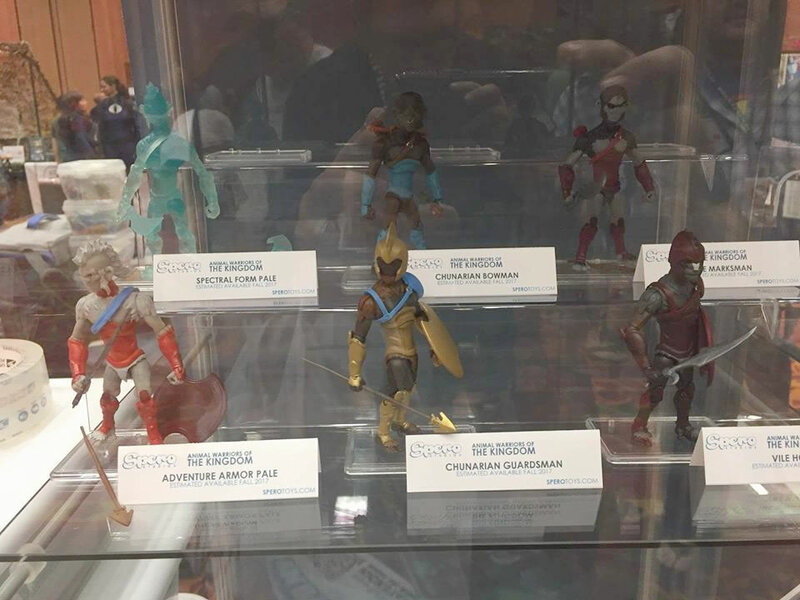 Animal Warriors of the Kindgom is a new 1:18 scale figure line seeking backers on Kickstarter and it is worthy of your support! 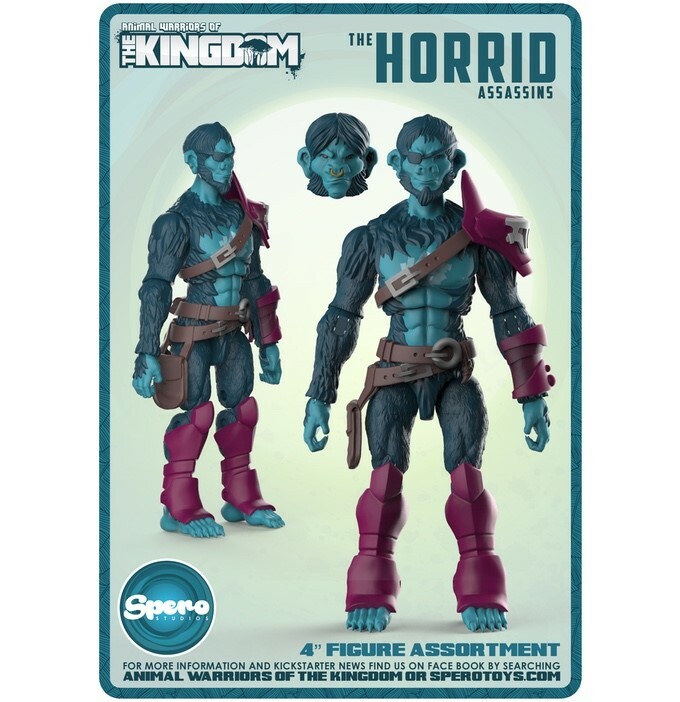 So what is “Animal Warriors of the Kingdom?” It’s the debut action line from Spero Studios, based on the graphic novel “The Kingdom – Rise of the Ape King” from author Jason Bienvenu. 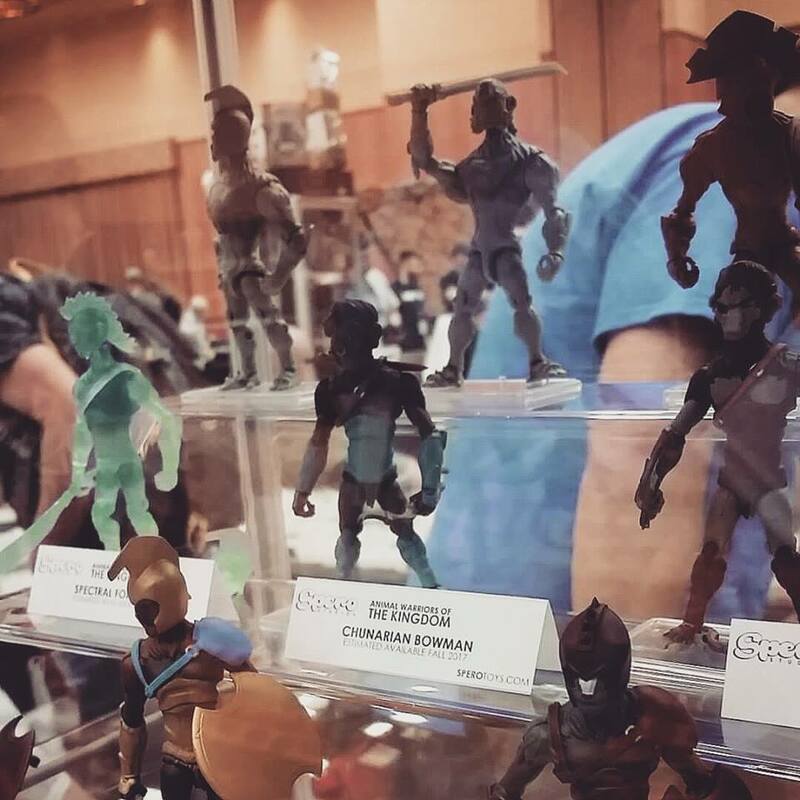 Spero Studios was founded by Bienvenu and Brandon Gary who were inspired by the action figures we’ve known from the 1970’s, 1980’s and 1990’s. Spero is dedicated to bring back the fun of those classic lines with modern articulation and accessories!